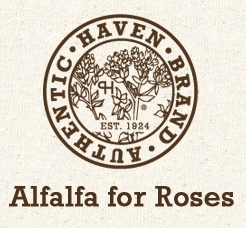 Authentic Haven Brand offers a full line of all-natural, premium soil conditioner teas for the home gardener, landscaper and farmer. 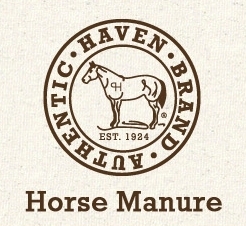 Haven Brand uses only the highest quality manures from livestock that are raised on permanent, native grass pastures at the Haven Family Ranch. 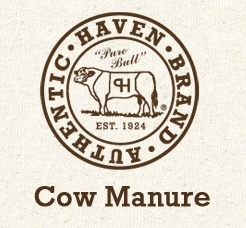 Over the last several decades, local farmers and home gardeners have used composted manures from the Haven Family Ranch to enrich and condition their soil. Today, more and more families are growing their own fresh, healthy foods and Authentic Haven Brand meets their organic needs by providing an all-natural alternative to using damaging and expensive chemical fertilizers. 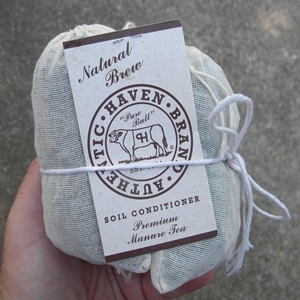 Authentic Haven Brand Premium Soil Conditioner Teas are packaged in an environmentally friendly tea bag, which makes brewing and using them a breeze. Our soil conditioner teas can be used on vegetables, herbs, flowers, lawns and anything else that grows! The manure tea can also be applied to compost piles to accelerate the composting process, giving you great compost in less time. 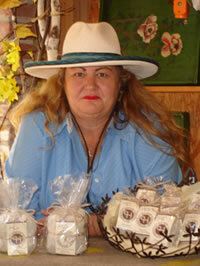 To purchase our all-natural products, please visit the Authentic Haven Brand store.